Portugal Travel Guides – The Discoveries Of. I have to confess that Portugal has become one of my favourite countries in Europe. Beguiling, beautiful and buzzing – it’s the country that always leaves you wanting more. Full of history, the cool capital Lisbon has earned its place on pretty much every travel hotlist this year. Grittier, but no less beautiful, Porto (often called Portugal’s second city) has its own charm – one aided by historic port houses, chic barrios and gorgeous architecture. Outside of that, there’s so much to see and do – lazing on sunny beaches framed by sapphire seas, cycling around family-run vineyards and learning about traditional Portuguese crafts – any trip to Portugal is exactly what you make of it. Wondering where to start? Check out my Portugal itinerary to start – follow it up with a peek at the coolest things to do in Portugal. Then delve into these regional guides. 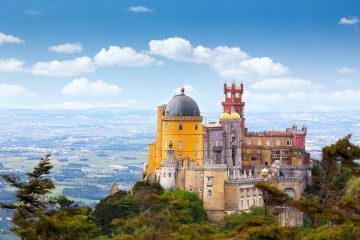 Lisbon is the capital city that is that the top of everyone’s European bucket list. There’s a ton to see and explore – but unlike other capitals (ahem London, I’m looking at you) it’s retained a distinct charm and atmosphere that you simply can’t find anywhere else. 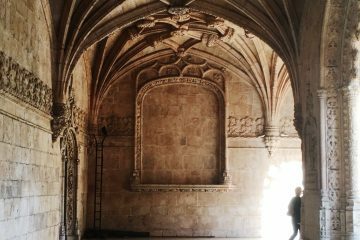 You’re never going to struggle to occupy yourself in the Portuguese capital – but if you’re on a tight timetable, start with my pick of awesome things to do in Lisbon. 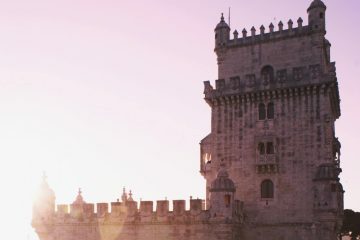 The beautiful area of Belém is the place to start – largely untouched by the 18th-century earthquake that razed much of Lisbon’s centre to the ground, it boasts a wealth of must-see attractions. The Jeronimos Monastery, Belém Tower and Monument to the Discoveries are Belém’s big three – see them all during the course of one day, fuelled by yummy pasteis de nata from Pasteis de Belem. Move from past to present and check out Lisbon’s thriving street art scene. A little out of the way, Andre Saraiva’s large-scale urban mural is worth a detour. Alternatively, the buzzy music meets art, shopping and drinks venue LX Factory has an ever-changing rotation of pieces. 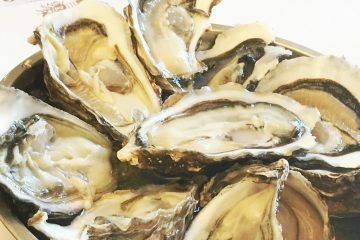 Food abounds in Lisbon, but Cervajaria Ramiro is the king of super-fresh seafood and traditional Portuguese dishes. Dine like a king, pay like a pauper. As with any capital, you’re not stuck for places to stay but the Four Seasons Hotel Ritz is an impeccable choice – complete with some of the best views in the city straight from your room. 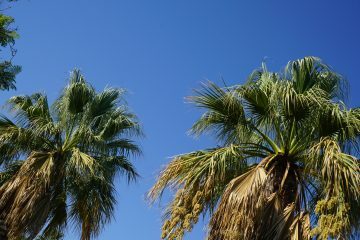 The Algarve is a super trendy destination with a buzzing social scene. 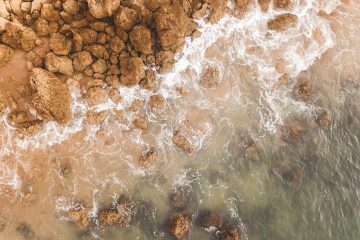 Cast away all your preconceptions – there’s so much more to the Algarve than the pristine golf courses and flashy marinas for which it’s best-known (though of course, there are plenty of those to go round). Hike into the arid hills of the interior – flanked by fertile valleys, they immediately offer a less-explored alternative to some of the region’s best-known spots. Of course, the beaches are spectacular. Like, really. Think crystal-clear waters, picturesque cliffsides and hidden sea caves. 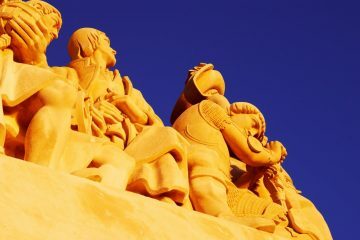 Praia da Coelha is one of the best-known but there are almost endless numbers to choose from. Looking for somewhere special to stay? The Four Seasons Fairways in Quinta do Lago offers chic villa rentals in the heart of the Algarve, while the recently-opened Anantara Vilamoura is perfect for a weekend getaway. Start with the striking azulejo (ornate Portuguese tiles) display in Sao Bento railway station, wend your way between the age-old buildings to Cathedral Se (ahem, perhaps stopping off at a few port houses along the way). 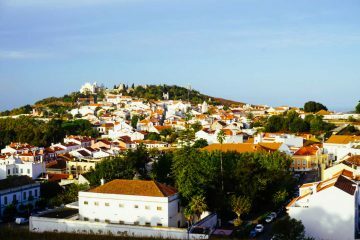 Perched above The Algarve, the Alentejo might not be as well known as it’s more southernly sister but that doesn’t mean it has any less to offer. 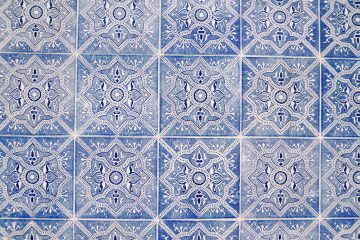 With a wealth of traditional Portuguese craftsmen – it’s the place to learn about the distinct azulejo tiles for which the country is famed. The Alentejo is responsible for some of the best Portuguese wines (thanks dudes) – pair them with some locally-produced artisanal food for a true taste of southern Portugal. If that all sounds a bit too relaxed, think about tackling the Rota Vicentina – a series of hikes along the Alentejo coast and inland – there’s no better way to discover the Alentejo’s secret treasures. The Douro Valley might well be my favourite spot in Portugal. The Douro River winds its way through the valley, framed by steeply terraced hills on each side – it’s almost too picturesque to be real. Occupy yourself by hopping between the hundreds of wineries and port houses that call the Douro their home. Once you’re done exploring the vineyards (perhaps with a bottle or two stashed in your bag to bring home), finish up with lunch in Rui Paula’s esteemed DOC restaurant. Set on a terrace over the river I cannot recommend it enough – the food is divine, as is the setting. Madeira has become a must visit destination in Portugal. Who can resist the temptation of the Christiano Ronaldo Museum for starters? Less tongue in cheek – Madeira is brimming with epic hikes, tasty food and, of course, Madeira wine. Speaking of which, swing by the Madeira Wine Museum – based in a house that was once owned by Christopher Columbus.